When you’re at work, how often do you fantasize about going to a spa rather than heading home afterward? Is there anything better than spending time at a spa? Of course not, the spa is the ultimate space for relaxation and calm. Those hours that you can spend being pampered is the ultimate in indulgence and yet, spa trips are expensive. You may not have the luxury of annual leave with your job and you can’t get the money together right now to head on a spa break. So, what do you do? You give your bathroom an overhaul, of course! You need to create a space of your own – a spa of your own, even! You don’t necessarily need to rip the whole thing out and start again, but there’s no harm in looking at the clawfoot tub information out there, right? You want your bathroom to be a zen space where you can kick back, relax and enjoy that spa-like feeling. Let’s have a look at how you can do that so that you can have the spa day – every day. Firstly, if you plan to have a facial, you need hot towels. No spa is complete without hot towels, and you don’t want to run back and forth to the sink to rinse your face between steps. Load up on a lot of very soft, cotton towels and then soak them through in hot water. Wring them right out and use these to clean your face. Add lavender oil to the water so that you breathe in those therapeutic benefits of the oils. 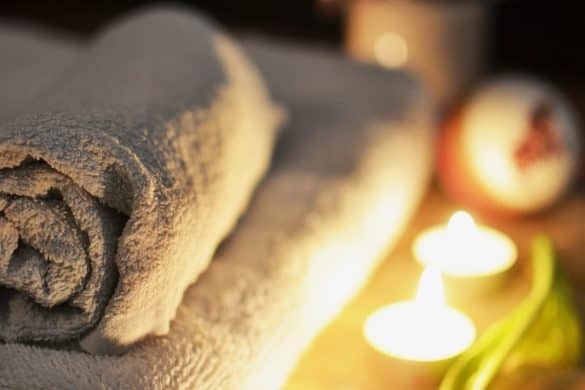 It’s all about engaging your senses, and a big reason why going to a spa feels great is because all of your senses are engaged and making you feel calm all at once. Set your mood with aromatherapy candles and soothing music; make those senses sing. The next important step to clearer skin masks. There are so many excellent, healthy mask recipes online and you can use these to exfoliate, moisturize and make your skin feel fantastic. Glowing skin is a luxury for some, and you can make it happen with homemade face masks. When you add cucumbers to your eyes to hydrate and soothe them as part of your face mask experience, you are doing it because it’s what you’ve heard works. There are things out there that work too, such as chamomile tea bags soaked and refrigerated. Just 10 minutes of use can refresh your eyes and prevent your eyes feeling exhausted. Lastly, you want to feel relaxed when you leave your spa, so make sure that you bring in a mobile masseur at least once a month for a rub down. The muscles you work every day may not be in pain, but they’re certainly going to be under strain for a while. Get them worked out and feeling invigorated, and you can ensure you’ve rounded up your spa experience nicely. And all without the huge bathroom refurbishment!